On 4 April 2018, Real Corp 2018 Conference was organised at the Vienna University of Technology, Austria, to discuss the current state of the art as well as projects and approaches in smart urban technologies. 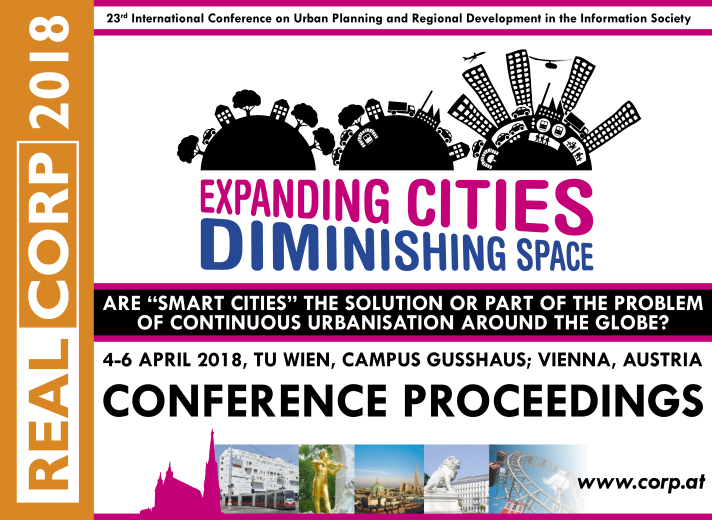 Climate-Fit partners from IURS (Institute for Sustainable Development of Settlements; Ostrava Poruba, Czech Republic) participated in the conference and presented the Urban Planning sectoral service. The sectoral service on urban planning is focused on the (cor)relation between urban climate (heat) and urban land use structure and development. The concept of the urban planning service, as well as the specific services provided to the three Czech demonstration cities (Prague, Ostrava, Hodonin) within the Climate-fit project, were introduced to the audience. 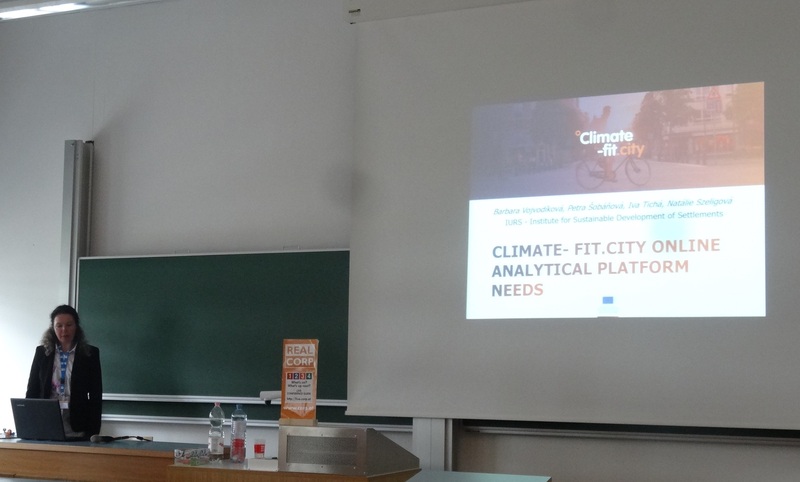 Among the main conclusions from the project to date, the Climate-Fit partners highlighted that there is a high interest in the topic of urban heat among the user community who are aware of the relationship between urban land use and urban climate and support the sustainable development of cities. Click here for the IURS presentation from the conference.